A recent report from CEP reveals that there is often a gap between what a nonprofit wants and what a funder provides. The report shows that foundation leaders frequently cite a lack of internal staff capacity or time to provide support to strengthen their grantees. In a study by RHR International, half of the CEOs surveyed “reported experiencing feelings of loneliness in their role, and of this group, 61 percent believe it hinders their performance.” Executive isolation and loneliness is most prevalent in the CEO role, and RHR recommends seeking support from trusted advisors, including other CEOs who can provide unbiased feedback in a safe space as a means to combat this specific type of isolation. At The Healing Trust, we offer programs to address executive isolation and the needs of mid-level leaders at nonprofit organizations. The Executive Peer Circle Program (EPCP) is specifically designed for executive directors/CEOs of nonprofit organizations, and the Leader Peer Circle Program (LPCP) is for non-CEO leaders. Both programs last 12 months and differ from traditional skill-development or networking programs in that they use a community-building model known as the circle process. The circle process encourages honesty and authenticity among participants, who learn methods to combat isolation, personal and organizational mission creep, vicarious trauma, burnout, and more. Unfortunately, burnout is a commonly expected part of working in a helping profession. Burnout at nonprofit organizations has a negative impact on organizational turnover, work quality, organizational stability, and the mental and physical health of employees. The impact of burnout includes a loss of empathy, emotional and physical exhaustion, and compassion fatigue. It can often be difficult for people in helping professions to give themselves permission to take time away from their work. That’s why we offer free, facilitated self-care retreats 10 times a year for nonprofit staff and volunteers, as well as employees of other service agencies including nurses, social workers, and police officers in our service area. We know that one day won’t reverse the effects of burnout long term, but the feedback we’ve received from retreat participants shows that the retreats are great opportunities for individuals to unplug and try new self-care practices. Each participant also has the opportunity to create a self-care plan during the retreat. As a longer-term, deeper engagement, we also provide Sabbatical Grants of up to $20,000 to nonprofits in our service area that meet specific criteria. These grants can be used to fund the salaries of interim staff and support stateside travel, housing, and learning opportunities for the executive director/CEO. TSNE MissionWorks and CompassPoint studied the impact of sabbaticals on nonprofit leaders and discovered that sabbaticals increase organizational capacity, are important tools for succession planning, strengthen governance, and benefit funders by building trust in the relationship. To date, we have funded seven sabbaticals with lengths ranging from two months to six months, and every recipient reported that the time away resulted in them being more energized about their work. The sabbaticals also provided interim staff with the opportunity to gain new skills in different roles. We’ve all heard Peter Drucker’s famous saying that “culture eats strategy for breakfast.” We know that the culture of an organization impacts everything from organizational effectiveness to length of employment. 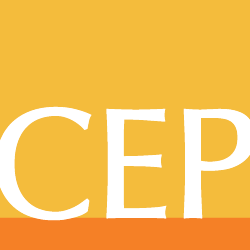 While it can be difficult for nonprofit staff to admit when there is trouble in an organization, CEP’s data shows that nonprofit staff are more willing to do so when they have a strong relationship with the funder, and when they aren’t afraid of being penalized for the information they share. Even the best organizations have internal struggles. We try to address these struggles by providing grants to support organizational culture. These “Cultures of Compassion” grants are for nonprofits that want to improve their staff’s ability to serve with compassion by creating an ongoing program to address staff’s needs. These grants are specifically tailored to the unique needs of the organization to improve or address an issue that is impacting the organization’s culture. Funding can be used for leadership training, staff development and/or consulting programs to address issues like turnover, staff communication, or staff burnout. Even with a small staff, we are working to meet the needs of our grantees. Some of the work is through our grantmaking programs, while other initiatives like the circle process and Healing for the Healer retreats are possible through partnerships with great consultants. Either way, we are listening to our grantees, finding ways to meet their needs, and strengthening their work with more than a check. How do you listen to your grantees and meet their needs? What programs do you offer grantees that go beyond grantmaking? Jennifer Oldham is program and communications officer at The Healing Trust, where she manages the Trust’s communications across multiple platforms along with grants that focus on organizational culture, physical health, and sabbaticals for nonprofit executive directors. Follow The Trust on Twitter at @HealingTrust. What’s Unique about Funder Capacity?